Jeremy Bentham, the founder of classical utilitarianism, was a seminal figure in the history of modern political thought. This lively monograph presents the numerous French connections of an emblematic British thinker. 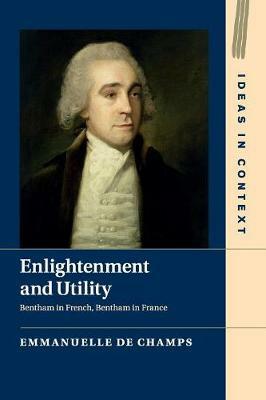 Perhaps more than any other intellectual of his time, Bentham engaged with contemporary events and people in France, even writing in French in the 1780s. Placing Bentham's thought in the context of the French-language Enlightenment through to the post-Revolutionary era, Emmanuelle de Champs makes the case for a historical study of 'Global Bentham'. Examining previously unpublished sources, she traces the circulation of Bentham's letters, friends, manuscripts, and books in the French-speaking world. This study in transnational intellectual history reveals how utilitarianism, as a doctrine, was both the product of, and a contribution to, French-language political thought at a key time in European history. The debates surrounding utilitarianism in France cast new light on the making of modern Liberalism.